In the wake of the government trying to control the veto power to vote, the former RBI Governor, C. Rangarajan has come forward and expressed his views on the move. Criticizing the suggestion to take away the veto power, he said that the power to decide the interest rates should remain with the Governor as central bank is capable to tackle inflation. He further insisted that the the question of veto power would not arise if we have a committee with majority of its members from RBI. The responsibility and accountability of RBI can then be established. Consistent with the new Monetary Policy, the responsibility and accountability to maintain inflation are with RBI. 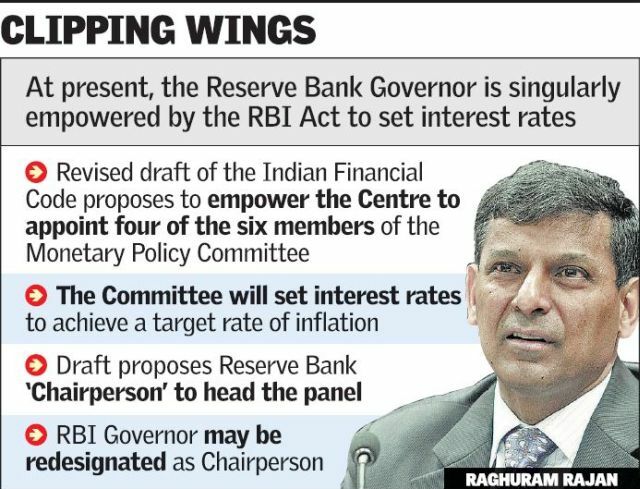 His statement was in response to the latest move by the government where in it has made a proposal to decide on key interest rates by a majority rule with 4 members in RBI from the government and 3 from RBI. This will take away the powers of the Governor. RBI is an independent entity and the move is likely to create a conflict between the central bank and the finance ministry of India. – Inflation Target: Keeping the CPI inflation as the inflation target. No set figures mentioned. Would be decided jointly by RBI and the central government every three years. – Voting: Policy rates to be decided by majority vote. 1 vote=1 member. RBI chair has the casting and second vote in the event of a tie. – Accountability: The RBI reports to central government in over/undershooting of inflation targets and the measures thereby. – Transparency: Similar to UPC recommendation, the RBI submits a report every 6 months. Minutes of MPC meeting to be published every 14th day of the meeting and a transcript to be sent every 3 years. The proposal is to be discussed in the monsoon session of the parliament.